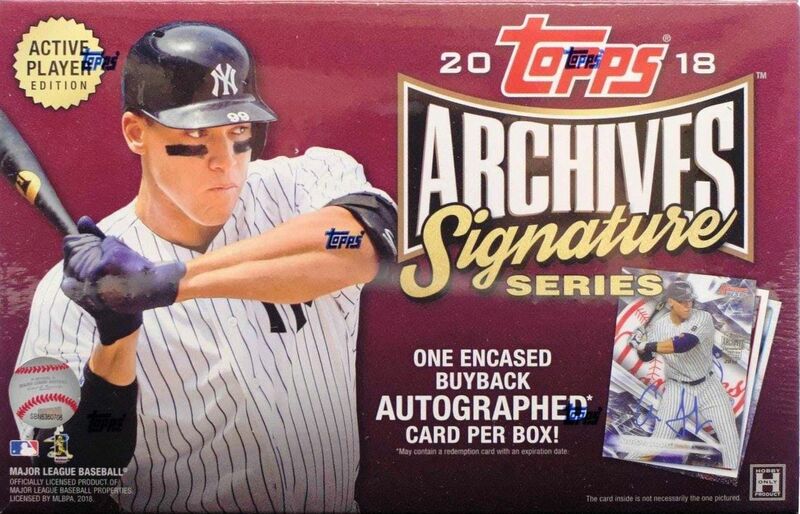 Topps opens the door for collectors to have a chance to get up close and personal with today's superstars via the release of 2018 Topps Archives Signature Series (Active Player Edition). 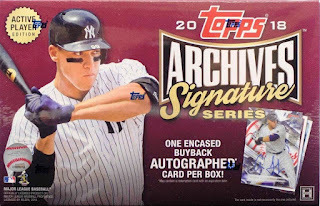 Each box features one on-card autographed buyback from over 65 different active MLB players, including the likes of Aaron Judge, Bryce Harper, Manny Machado, and Mike Trout. As the recent netting regulations at MLB parks have made it even more difficult to obtain an autograph before a game, Topps Archives Signature Series gives fans and collectors a guaranteed chance at a signed card from an active player without having to wade through packs of base set cards. This quick hit will attract many who don't want the hassle of sifting through boxes or spending hundred of dollars at a stadium hoping they can slide a baseball card through a slit in the netting during batting practice.